If you have more than one sales channel, you will need to connect them to your Inventory Planner account. 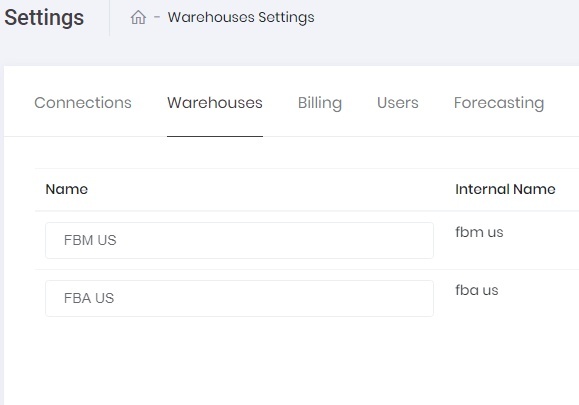 When you connect your Amazon account, you will have FBA and FBM warehouses by default. If you only operate Amazon FBA and not FBM, simply disable FBM by deselecting the Enabled checkbox. Save these settings. 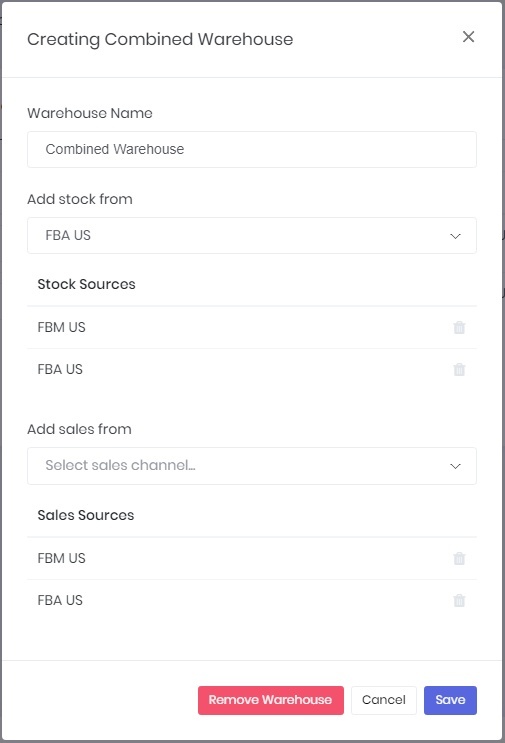 When selling through FBA and FBM, it can be useful to create a combined warehouse so that you can build purchase orders incorporating forecasted sales from both channels. Name your Combined Warehouse. Add stock from and Add sales from both FBA and FBM. Save your new combined warehouse. If you sell products via FBA in addition to your own site, you may want to set up a combined warehouse for placing orders to meet demand across all stores. In this scenario, the eCommerce platform (such as Shopify or BigCommerce) is fulfilled from the same warehouse as Amazon FBM. Name your combined warehouse. Then Add stock from your eCommerce platform and Amazon FBA. 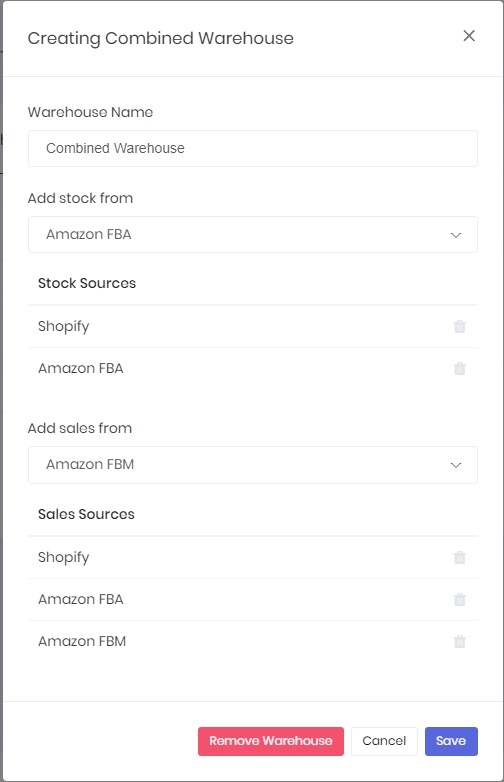 Do not include stock from Amazon FBM here - doing so would double count your inventory because the eCommerce platform and FBM fulfill from the same warehouse. Finally Add sales from all three sales channels. All three are needed to create an accurate forecast for sales for your entire store. Save and review that you have the correct settings for your combined warehouse. Finally, save your warehouse settings.